Universal Theatrical Group, Working Title Films, Greene Light Stage, Michael Coppel Entertainment and Louise Withers Presents are delighted to announce that Billy Elliot the Musical will return to Australia in 2019 for its 10th Anniversary Tour. The hugely successful West End musical premiered in Australia in 2007 as the first international production outside of the UK, prior to its Broadway premiere. With the first Australian tour concluding in Melbourne in 2009, this new 10th Anniversary tour kicks off in 2019, ten years after the curtain came down in Australia. Billy enjoyed huge critical acclaim with Sydney and Melbourne audiences flocking to the theatre, however, the physical design was so complex at the time, that touring beyond those two cities was not possible. Now with some clever adjustments, the Producers are delighted that this incredible stage production is able to tour to other capital cities. 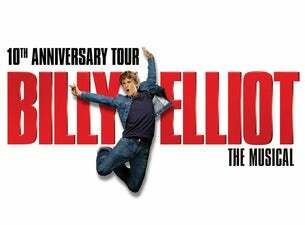 Now all of Australia can experience the magic and fall in love with Billy Elliot the Musical. Billy Elliot the Musical will open at Sydney Lyric Theatre in October 2019 followed by planned seasons in Melbourne at the Regent Theatre from February 2020, Crown Theatre Perth from June 2020, QPAC’s Lyric Theatre in Brisbane from July 2020 and the Festival Theatre at Adelaide Festival Centre from September 2020. Featuring music by the legendary Elton John, book and lyrics by Lee Hall, choreography by Peter Darling and direction by Stephen Daldry, Billy Elliot the Musical has been seen by almost 12 million people worldwide. Acclaimed by audiences and critics alike, it is the recipient of over 80 awards internationally, including ten Tony Awards, five Olivier Awards and eight Helpmann Awards.